Katelyn Ham has being playing volleyball since she was in the third grade but doesn’t plan to continue in college. All her friends played and she decided to give it a try and immediately fell in love with it. Being on the team and with her friends is what motivates and inspires her the most to compete. 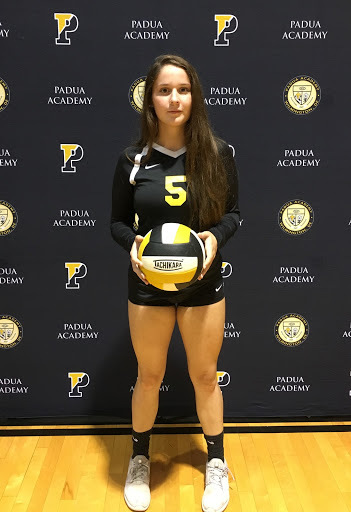 Her favorite memory would be winning their game against Ursuline, one of Padua volleyball’s biggest rivals, during the regular season. She also really enjoyed being able to make it all the way to championships and getting to compete at the Bob Carpenter center.